Pole vaulting and operatic singing are strange bedfellows. But for soprano Amy Manford, the two stand at opposite ends on the continuum of her award-winning success – from gold medals in pole vaulting and rhythmic gymnastics at the Australian National Championships to landing the female lead in The Phantom of the Opera for her debut at London’s West End. In between, there has been a slew of awards. Among them is the prestigious Barbara MacLeod Scholarship for most outstanding female classical student from the Western Australian Academy of Performing Arts (WAAPA), where she graduated with a Bachelor of Music in Classical Voice (2013) and Postgraduate Diploma in Music (2014) under the tutelage of Patricia Price. Luck held little sway in the Exceptional Talent Visa she was granted recently by the UK Government, which requires the applicant to be endorsed as a ‘recognised leader’ for eligibility. The visa now entitles Manford to stay in the UK for the next five years. On graduating from WAAPA, Manford quickly made her mark in London after commencing a scholarship to study at the Royal College of Music (RCM). In 2016 she was one of a select few to perform as a soloist for Prince Charles and guests at Buckingham Palace. This year, she sang the national anthem at the Anzac Day Dawn Service, at the invitation of the Australian High Commission in London. Manford’s performance drew tears from Prince Harry and Meghan Markle who were in attendance. After graduating with a Master of Performing Arts from RCM in July 2017, she was cast by composer Andrew Lloyd Webber as Christine Daaé in Phantom. Manford joined fellow WAAPA graduate and co-lead Ben Lewis on the stage at Her Majesty’s Theatre, where the show is in its record-breaking 32nd year. “My dressing room is [original lead] Sarah Brightman’s dressing room,” she says. Manford drew on her networking skills to invite Andrew Lloyd Webber to the show on meeting him ahead of her performance. While she has always loved musical theatre and contemporary singing, Manford says her passion for operatic singing developed at WAAPA. “The time I fell in love with opera was when my friend Samantha Clarke and I were cast in the two lead roles of Hansel and Gretel, an opera WAAPA put on in my postgrad year,” she says. Her life is “exactly where I had hoped it would be.” But the world can expect to see more of this diverse performer who has also sung with the West Australian Symphony Orchestra. “I’d love to go to Broadway and I’d like to do more recordings in classical crossover repertoire and perform more concerts with orchestras,” she says. And pole vaulting? “I’m just keeping it under my belt in case a director asks and I can say, ‘Well, I can do that for you!’"
If you’re an ECU graduate, you can take advantage of a range of benefits. 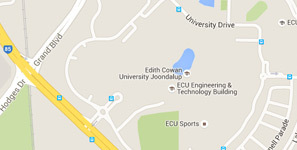 Ensure your details are up to date at www.ecu.edu.au/alumni.